August 24, 2015 March 31, 2019 - The 'Noms. A fruity version of the gimlet that makes a beautifully colored cocktail. 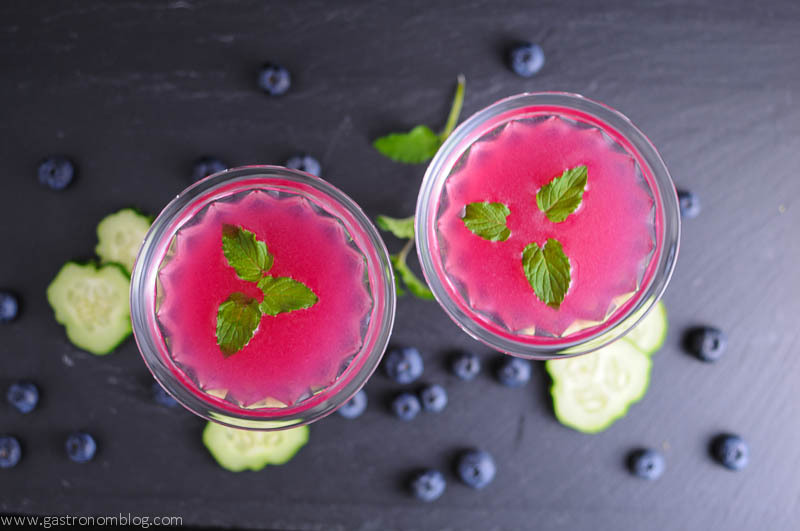 Check out this Blueberry Cucumber Gimlet. The gimlet is one of those drinks that we turn to when we are in the mood for something tart. 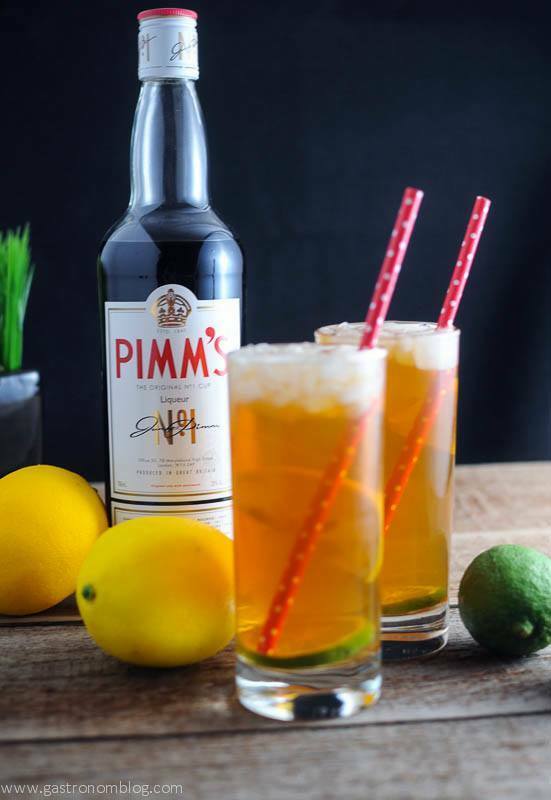 Full of fresh squeezed lime and gin, the gimlet is a classic in its base state, but simply adding fresh fruit, infusions or herbs (use these love herbs^ Herb Scissors !) can take the basic gimlet and make it really shine. 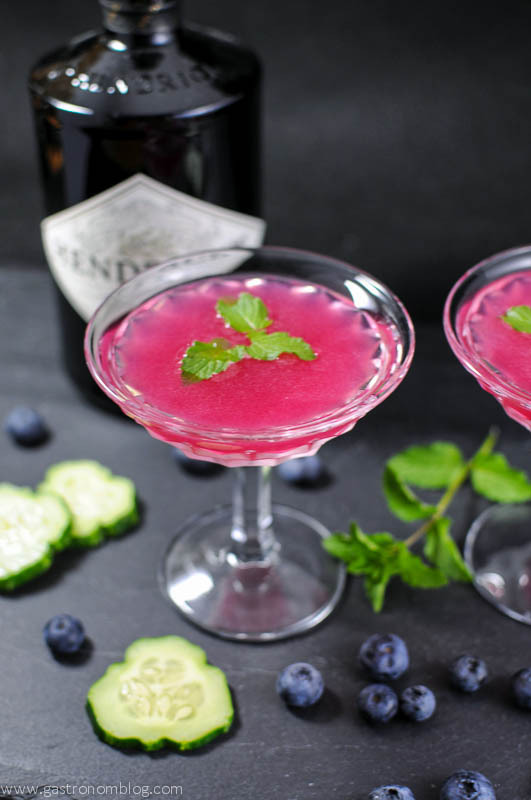 A good example of this was one of our favorite versions, The Raspberry Gimlet, and it just added raspberry to the base gimlet to create a whole new flavor. With the gimlet as the starting point and a batch of fresh cucumbers from our garden and some fresh blueberries from Michigan it only seemed right that we try to combine the two as they work so well together. 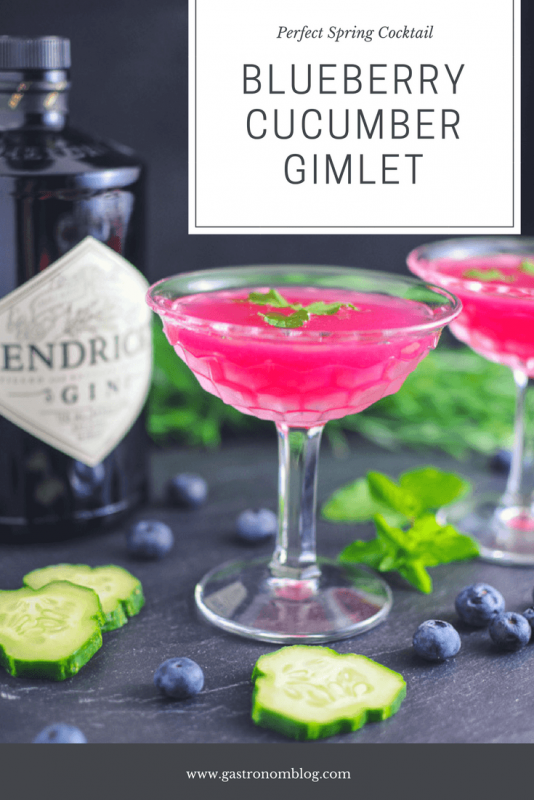 This version of the gimlet is a perfect drink for the dog days of summer, combining the sweetness from the blueberries and the crisp coolness of the cucumber. Fresh squeezed lime brings a refreshing tartness that helps cut the heat. Muddled mint leaves and (Use these love herbs^ Herb Scissors !) a final float of mint provide an aromatic coolness that finishes the drink with a fragrant freshness. What Ingredients are Needed for the Blueberry Cucumber Gimlet? A lot of gimlet recipes will call for the use of Rose’s Lime, but we really prefer the bright citrus tartness that fresh squeezed limes provide. 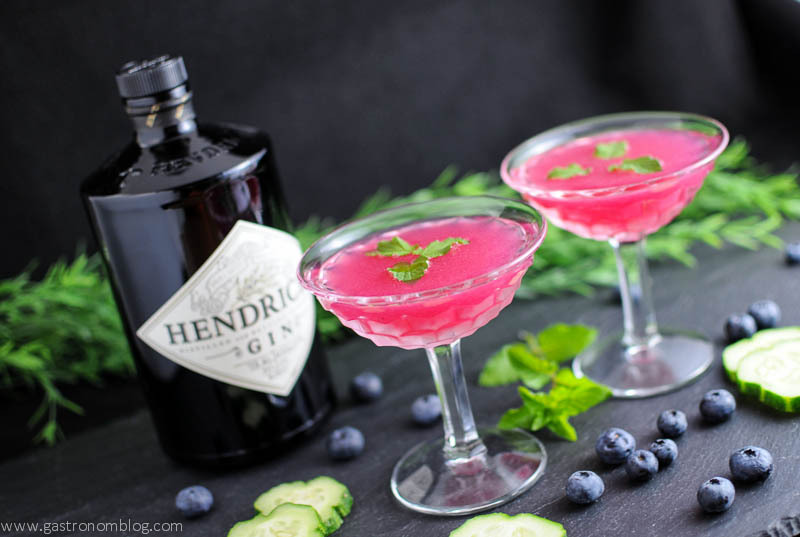 While you can use other brands of gin, we would recommend Hendrick’s Gin as Hendrick’s is infused altogether with cucumber and rose, which really adds a depth to the drink that other gins might not. 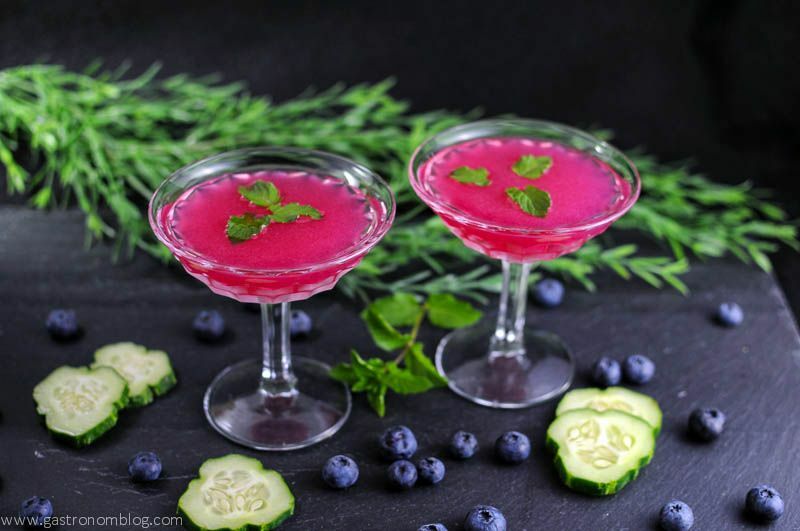 Enjoy this Blueberry Cucumber Gimlet! 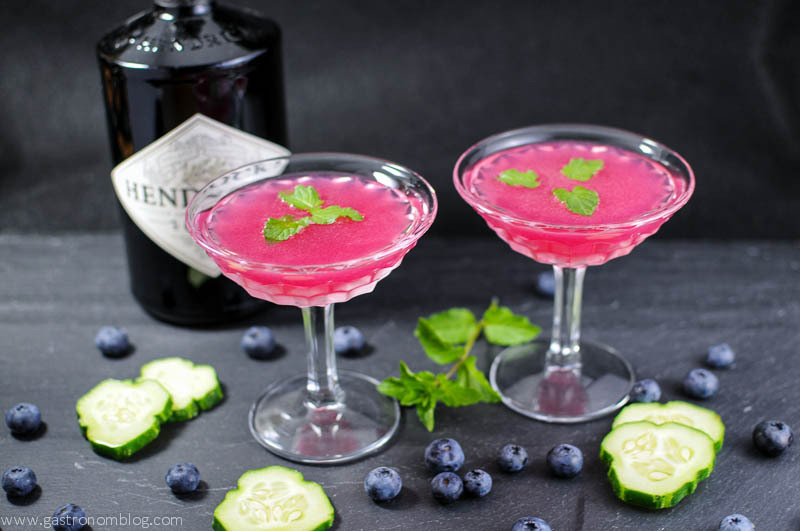 A fruity and vegetable version of the original classic gimlet cocktail. Peel and slice cucumber and chop into small chunks. 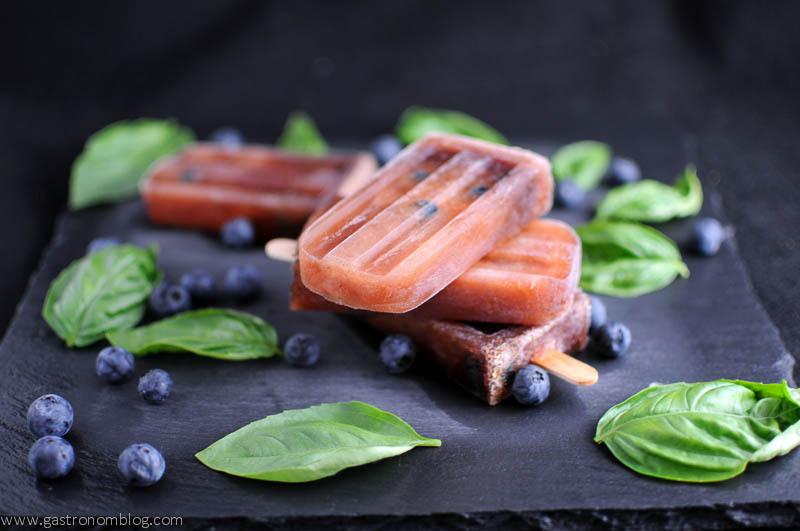 Place blueberries, 4 oz of chopped cucumber, 3-4 leaves of mint and simple syrup into the bottom of a shaker. Muddle until cucumber and blueberries are fully crushed. 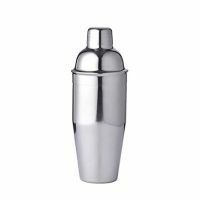 Add the gin and ice to the shaker. 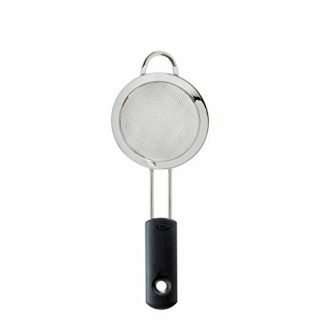 Shake until fully chilled (around 30 seconds). 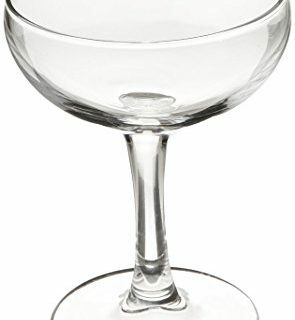 Double strain into a chilled cocktail coupe or martini glass. 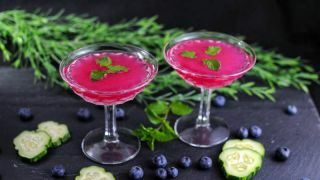 PIN THIS BLUEBERRY CUCUMBER GIMLET RECIPE FOR LATER! Yum, that sounds so interesting-and also delicious. haha dang computer… I just left a longggg comment then the site froze! Anyways, Love this! Gin is delicious, I will absolutely need to order this drink! Or make it at home!!!! Thanks! I hate when that happens! Thanks for stopping by, though! 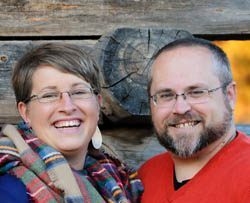 It is such a good drink, I hope you can make it! Cheers! Thanks! We thought the color was so beautiful, too! I am in love with the color – and the contents! – of this drink. Can’t wait to make it! I thought the color was beautiful, too! It was very tasty!